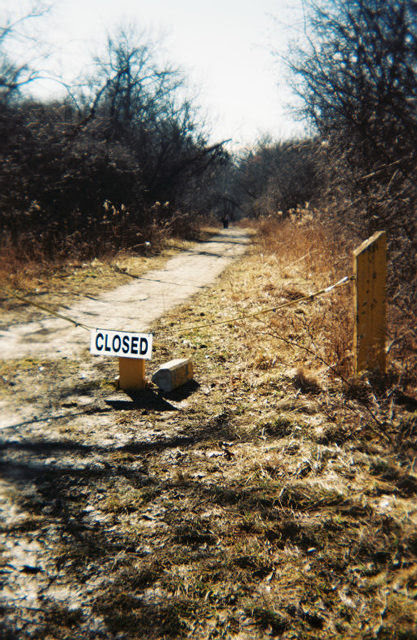 I had taken this photo in October of 2002, it is a shot of the path that leads to the cemetary. You can see that there appears to be a figure dressed in black walking on the path. When I zoomed in, I saw that there appears to be two figures. Please let me know what you think.